As a mother I am a sucker for books for my children. I strive to be minimal on many things, but books have been hard to be minimal on. In fact, the last time I checked we had around 300 books in our home thanks to hand me downs, free subscriptions from the Dolly Parton Imagination Library, gifts and the occasional book that I purchase here and there. 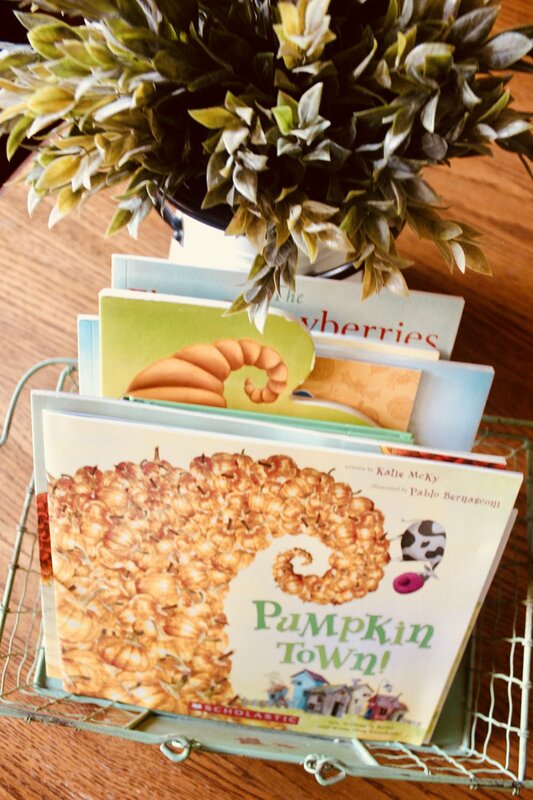 One of my favorite things to do is to create seasonal and themed book baskets for our little ones. Overtime I have realized that with the amount of books that we have, it is crazy to leave them ALL out at once where they can be a little overwhelming and also add excess items for us to clean and organize. Having a rotation of books can be great because this helps to keep them surprising and “new” to your children. In many ways as they start to become older and remember more, they may become excited about knowing that their favorite Christmas stories will be on display soon for them or that their favorite Halloween stories will be sitting in a basket on the first day of fall. It almost provides a tradition in itself for your children as they look forward to and reread these books each year. As you can tell this is very basic and still leaves you plenty of normal, every day books to leave out for your little ones (Corduroy, Dr. Seuss, Junie B., ABC’s, etc…). As your children get older and start to crave new books and need new reading materials, you can purge and donate over time and continually build your collection for each bin. We recently made a purchase for several fall books through Scholastic books with my daughter’s school because the prices are so amazing. This allowed us to have more books focused on fall that can grow with my children for the next several years. Over time I hope to add children’s classics to these bins as they learn to read and begin their journey with chapter books. Never feel bad for storing your children’s books away through the seasons. Children do better with less around (yet here we are with a ridiculous amount of books, I know). 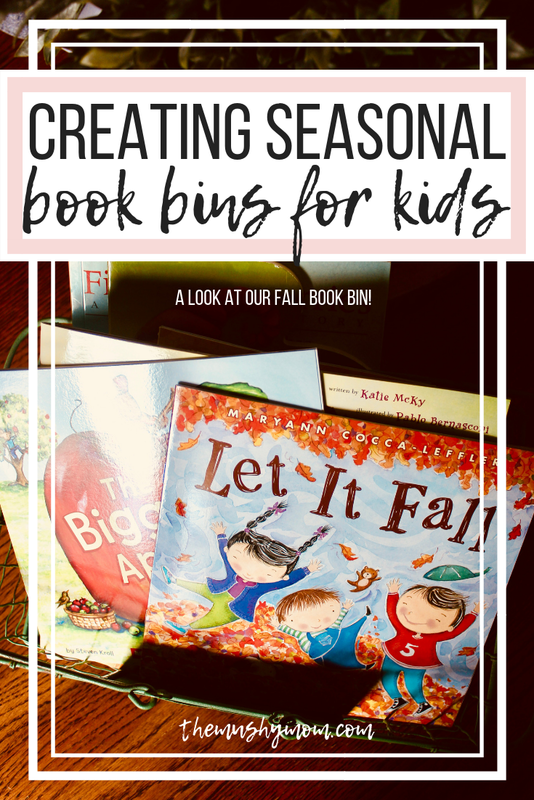 Continue a wonderful family tradition year after year as you grow your seasonal book bins and provide a familiar tradition each year for your little ones to read their favorite seasonal stories. This provides them with a tradition to pass down to their children as they one day pack up their favorite holiday classes to share with their little ones one day. What a wonderful way to make reading a little bit more fun!